Janneke Adema and Sam Moore are the authors of a March 2018 UKSG Insights essay entitled Collectivity and collaboration: imagining new forms of communality to create resilience in scholar-led publishing. Today we explore the context behind the Radical Open Access Collective (ROAC), and their thoughts on the complexities of scholar-led open access publishing. 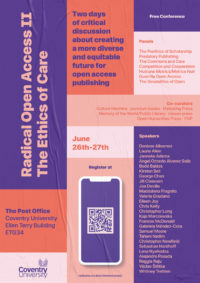 The ROAC is holding the Radical Open Access II – The Ethics of Care conference at Coventry University from 26-27 June 2018. OLH: Hi Janneke and Sam, thanks for talking to us! To start, how would you summarise the core philosophy of the ROAC? JA & SM: Thanks for the invitation! We feel that the core philosophy behind the collective is about returning control of publishing to the scholarly community. While the member presses do not represent a unified or homogeneous set of values or practices, they are each interested in practicing a vision of open access that is accountable to (and reflective of) their various communities. This affords experimentation, critique, collaboration and a range of other practices that traditional publishing currently prohibits to a lesser or greater extent. The collective ultimately hopes to offer a mutually supportive, non-hierarchical environment for exploring the futures of open publishing practices. The collective ultimately hopes to offer a mutually supportive, non-hierarchical environment for exploring the futures of open publishing practices. Taking this into consideration, some keywords that come to mind with respect to the ROAC’s philosophy are: collaboration, non-competitive, not-for-profit, horizontal (non-hierarchical), scholar-led, ethics of care, diversity, community, experimenting, global justice, affirmative creative critique, performative, progressive, radical, mutually-supportive, mutual reliance, multi-polar, resilience, communality, inclusivity. OLH: What ethical principles does the ROAC seek to normalise, and what challenges does it face in doing so? JA & SM: We are not sure “normalise” is the right word here, given the implicit normativity this word brings with it. Ethics, many of us feel, is not something that can be defined in advance or that can be predetermined, we cannot resort to moral criteria or predefined values or truths when it comes to publishing, scholarly communication or openness, for example. A responsible ethical approach to openness, to publishing, to the book, would not presume to know what these are, nore what ethics is, in advance. If anything we feel ethics is, or should be, non-normative: its meaning cannot be predetermined. We also do not follow any set “principles” in this respect; however, our ethics is not relativistic either; instead it responds to specific singular practices and situations, around how openness is implemented and the materiality of the book changes, for example. Our ethics are therefore performative, they arise out of the way we (as scholars, publishers) become with the media we publish. OLH: Why is being radical a good thing? JA & SM: Being radical is neither good nor bad, it is a terminology we have adapted to distinguish the specific version of open access we want to promote from more neoliberal or top-down versions, for example. The etymology of “radical” shows it derives from the Latin radix, for root, where it means going back to the origin, to what is essential. For us, radical open access simply represents what we always perceived open access to be, it is a way for us to position ourselves within the wide diversity of meanings open access represents and conjures up. The etymology of “radical” shows it derives from the Latin radix, for root, where it means going back to the origin, to what is essential. Being radical does however offer us the chance to present an affirmative counterpoint to the dominant discourses around open access, particularly those promoted by commercial publishers and governmental funders—such as HEFCE and RCUK (now UKRI) in the UK—who tend to be interested in OA inasmuch as it promotes business, transparency, and innovation or merely protects the interests of commercial publishers (see the Finch report, for example). This is how the average humanities and social sciences researcher is likely to encounter OA—as merely representative of a neoliberal ideology and a top down instrumental requirement—and so the ROAC seeks to illustrate that there is an alternative and that OA can have a basis in something both emancipatory and transformative. OLH: The ROAC is an advocacy group, but it is also a community-builder. How does a strong community translate into a response to the pressing issues of open access? JA & SM: Because it offers us the opportunity to scale-up or as we have previously argued, to “scale small”—keeping the diversity and independence of the (often small-scale) endeavours of our members intact—both horizontally and vertically. By harnessing the strengths and organizational structures of not-for-profit, independent and scholar-led publishing communities we hope to further facilitate collective efforts through community building and by setting up horizontal alliances. Next to that we hope to enable vertical forms of collaboration with other organisations, collectives, institutions and agencies within scholarly publishing, for example libraries and universities, but also with collectives of artists, technologists and activists. As we have argued elsewhere, we want to explore how we can set up so-called “chains of equivalence” (Laclau) with other movements and struggles that are also dealing with aspects of openness – not just those associated with open knowledge, open science, open data, altmetrics and so on, but also those areas in the Arts and Humanities that conceive digital media more explicitly in terms of power, conflict and violence. Those associated with critical media theory, p2p networks and shadow libraries, for example. We are interested in exploring a plurality of open movements, theories and philosophies in this respect, which may at times conflict and contradict one another, but which can nevertheless contribute to the construction of a common, oppositional horizon. By harnessing the strengths and organizational structures of not-for-profit, independent and scholar-led publishing communities we hope to further facilitate collective efforts through community building and by setting up horizontal alliances. In this respect the ROAC also intends to present a unified voice in response to certain issues of advocacy and policy. Having a strong community allows us to discuss and respond to various issues around publishing and openness, around how open access is being implemented for example, highlighting why funders should take alternative, scholar-led publishing initiatives seriously as part of this discussion. Think for example of the recently announced intention of the UKRI in the UK to have a mandatory OA monograph component to the REF after the next. This could present a threat by commercialising and formalising a particularly kind of OA monograph practice in the same way that the current REF policy has done for journal articles (including for example the adaptation of (high) BPCs for monographs, which are unsustainable), which is to say, in accordance with the wishes of commercial publishers. This has already summoned conservative reactions from organisations such as the Royal Historical Society, positioning themselves against this development. Yet, such funder requirement for OA books could also potentially present an opportunity for many presses within the ROAC who already publish OA monographs (such as ROAC members punctum books, Open Book Publishers, and Mattering Press, for example) as well as for scholars looking for options to publish their books in OA without (excessive) BPCs. Making both funders and scholars aware of the existence of these scholar-led models for publishing open access books is of the highest importance here. This is where we would see the ROAC coming in. OLH: How do you imagine the role of radical experimentation as a tool for humanities open access? JA & SM: Many of the ROAC member presses would understand the relationship the other way round, that openness affords experimentation and is the reason many OA projects adopt an open approach to begin with. This means that openness is often foundational to radical projects, a natural way of working that permits different kinds of experimentation in certain contexts. Openness is thus not about being more open, for instance, but is rather about being open to change and experimentation—depending on the contingent circumstances, the political and ethical decisions and cuts that need to be made, and so on. … [B]y experimenting in an open way with the idea and the concept of the book, but also with the materiality and the system of material production surrounding it—which includes our ideas of the material and materiality—we can ask important questions concerning authorship, the fixity of the text, quality, authority and responsibility; issues that lie at the basis of what scholarship is and what the functions of the university should be. This is why, in foregrounding experimentation, the ROAC reflects a range of practices and ideologies, rather than a single, coherent movement for making research freely available. Experimentation in this respect can be seen as a form of ongoing critique, serving as a means to re-perform our existing institutions and scholarly practices in a more ethical and responsible way. Experimentation thus stands at the basis of a rethinking of scholarly communication and the university in general, and can even potentially be seen as a means to rethink politics itself too. For instance, by experimenting in an open way with the idea and the concept of the book, but also with the materiality and the system of material production surrounding it—which includes our ideas of the material and materiality—we can ask important questions concerning authorship, the fixity of the text, quality, authority and responsibility; issues that lie at the basis of what scholarship is and what the functions of the university should be. OLH: How does a radical approach to open access empower researchers in the Global South, and those outside of traditional institutional frameworks? JA & SM: We would rather emphasise the opposite: it is researchers in the Global South and those outside or on the fringes of institutions (so-called para-academics) that empower the open access movement and scholarly publishing more in general. Dominique Babini has for example stressed that “the international community would do well to follow the examples of initiatives in Latin America, where open access is already the norm and where costs are shared among members of scholarly communities to ensure lasting impact”. In Latin America, Babini points out, the cost of publishing has always been an integral part of the cost of research, where it is universities and academic societies, not commercial publishers that predominantly publish journals and books. There is also the example of sustainable publishing platforms and models developed here, based on cost sharing, in opposition to the commercial enclosures APCs impose for example. Think of portals such as SciELO and Redalyc, but also the organisation (and ROAC member) Babini represents,CLACSO, which brings together hundreds of research centres and graduate schools in the social sciences and humanities, predominantly in Latin American countries. … [I]t is researchers in the Global South and those outside or on the fringes of institutions (so-called para-academics) that empower the open access movement and scholarly publishing more in general. From the perspective of being outside of established structures, we also need to acknowledge the essential role shadow libraries and guerrilla open access play in providing access to research in a global context, where for example LibGen and Sci-Hub have achieved with relative ease what the open access movement has for decades been striving for: quick and easy and near universal access to the results of scholarly research. OLH: Open source tools and open access publishing are intertwined. What needs to be free and open for smaller initiatives to thrive? JA & SM: If possible the entire production process (open that is, nothing is free), although we appreciate we will always be implicated in commercial, profit-driven, proprietary structures, platforms and models to some extent. It is about making strategic choices on the basis of what we, or better said, the ROAC’s members, think is important. Sometimes this means using proprietary software, sometimes it includes publishing in a closed way. There are no pre-set answers or guidelines here, although there are now many open-source options for scholar-publishers to choose from. Future work of the ROAC will be, based on the information portal we have already set up, to further collate many of these options and to develop a toolkit of advice so that other communities can start their own publishing projects too. In many ways we’re heading in the wrong direction with increased control of the means of production by large corporate entities. That said, the current push for centrally-controlled walled gardens, such as those being developed by Elsevier (see e.g. this article by Posada and Chen) and Springer-Nature, is very disturbing. Publishers now seek to lock users into their ecosystems, monetising not just user intellectual property but their interaction data too. In many ways we’re heading in the wrong direction with increased control of the means of production by large corporate entities. A perhaps missed opportunity to counteract this is the recent tender call for the European Commission Open Research Publishing Platformthat does not specifically require open infrastructure to protect against corporate capture. Nonetheless, instead of centralised and one-size-fits all publishing platforms, we would like to emphasise the value of decentralised ecosystems of small open source publishing projects, where platforms are often based on implementing a specific model or solution aimed to solve the crisis in academic publishing. This kind of imposed uniformity could lead to a loss of control of certain aspects of the publishing process and threaten the independence and individuality of small experimental projects. This is why the ROAC intends to complement library-based and university press publishing projects that share a more decentralised vision, and urges funders to support a biodiversity of publishing projects and models. OLH: What are your views on volunteerist labour in publishing? Is this something for which people should always be paid or is unpaid publishing work acceptable? JA & SM: Our feeling is that academic publishing is already sustained by (and couldn’t exist without) large amounts of volunteer labour contributed by academic editors, reviewers, copyeditors and interns. Presses in the ROAC simply divert some of this labour from commercial publishing (and encourages other academics to do the same) towards something more transformative, that is truly in the communities interest as well as community-owned and controlled. Yet labour is not a zero-sum game and will be always be a site of struggle between individual commitments as part of the traditional publishing industry, due to the prestige this confers, and collective commitments to transforming this system through experimentation into alternatives. Ultimately we want to make the appeal that publishing should be valued as both an integral aspect of research and something for which scholars should be paid as part of their academic positions. Ultimately we want to make the appeal that publishing should be valued as both an integral aspect of research and something for which scholars should be paid as part of their academic positions. That said, many of our initiatives are currently committed to paying their designers, typesetters and proofreaders, interns, or other people they do work with, fairly (whilst they often don’t receive a wage themselves). On the other hand, members of the ROAC have also been critical of applying a market logic or a logic of calculation to all the relationships within research and communication. There are different ways than mere monetary ones in which we can recognise the contributions of the various agencies involved in the publishing process. The ROAC also aims to decrease the amount of volunteer labour in publishing to some extent by enabling scholar-led and not-for-profit projects to work closer together and to encourage them to, as a community, share amongst themselves, tools, best practices and information that might aid with working more efficiently, including information on how to obtain funds and grants to subsidise publishing projects. To encourage this, we have set up the Radical Open Access mailing list, which we use to discuss issues around the politics and ethics of publishing, and to share best practices and strategies amongst each other. OLH: Thanks for sharing your thoughts with us, Janneke and Sam! Join us again soon for more #EmpowOA Open Insights. In 2015 the inaugural international Radical Open Access Conference addressed an urgent question: how should we set about reclaiming open access from its corporate take-over, evident not least in the rise of A/BPC models based on the charging of exorbitant, unaffordable and unsustainable publishing fees from scholars and their institutions? The conference saw participants calling for the creation of new forms of communality, designed to support the building of commons-based open access publishing infrastructures, and promote a more diverse, not-for-profit eco-system of scholarly communication. With these calls in mind, the Radical Open Access Collective (ROAC) was formed immediately following the 2015 conference as a horizontal alliance between like-minded groups dedicated to the sharing of skills, tools and expertise. Since then it has grown to a community of over 40 scholar-led, not-for-profit presses, journals and other projects. The members of this alliance are all invested in reimaging publishing. And what’s more, are committed to doing so in a context where debates over access—which in many respects have been resolved by the emergence of shadow libraries such as Sci-Hub—are increasingly giving way to concerns over the commercial hegemony of academic publishing. So much so that the issue addressed by the 2015 conference—how can open access be taken back from its corporate take-over? —now seems more urgent than ever. In June 2018, Coventry University’s postdigital arts and humanities research studio, The Post Office, will convene a second Radical Open Access conference, examining the ways in which open access is being rendered further complicit with neoliberalism’s audit culture of evaluation, measurement, impact and accountability. Witness the way open access has become a top-down requirement – quite literally a ‘mandate’ – rather than a bottom-up scholar-led movement for change. Taking as its theme The Ethics of Care, the concern of this second conference will be on moving away from those market-driven incentives that are frequently used to justify open access, to focus instead on the values that underpin many of the radical open access community’s experiments in open publishing and scholarly communication. In particular, it will follow the lead of Mattering Press, a founding member of the ROAC, in exploring how an ethics of care can help to counter the calculative logic that otherwise permeates academic publishing. Making publishing more diverse and equitable – geographically, but also with respect to issues of class, race, ethnicity, gender and sexuality? Nurturing new and historically under-represented cultures of knowledge – those associated with early career, precariously employed and para-academics, or located outside the global North and West? Ensuring everyone is able to have a voice – not least those writing on niche or avant-garde topics or who are conducting hybrid, multimodal, post-literary forms of research, and who are currently underserved by our profit-focused commercial publishing system? Indeed, for many members of the ROAC, a commitment to ethics entails understanding publishing very much as a complex, multi-agential, relational practice, and thus recognising that we have a responsibility to all those involved in the publishing process. Caring for the relationships involved throughout this process is essential, from rewarding or otherwise acknowledging people fairly for their labour, wherever possible, to redirecting our volunteer efforts away from commercial profit-driven entities in favour of supporting more progressive not-for-profit forms of publishing. But it also includes taking care of the nonhuman: not just the published object itself, but all those animals, plants and minerals that help to make up the scholarly communication eco-system. Radical Open Access II is community-driven, and is being co-organised and co-curated by various members of the ROAC in a collaborative manner. It includes panels on topics as diverse as: Predatory Publishing; The Geopolitics of Open; Competition and Cooperation; Humane Metrics/Metrics Noir; Guerrilla Open Access; The Poethics of Scholarship; and Care for the Commons. The conference is free to attend and will also be live streamed for those who are unable to be there in person. Last week, Carlo Patrão published “On the Poetics of Balloon Music: Sounding Air, Body, and Latex (Part One),” which examined the history of the association between balloon travel and experimentation and the idea of silence, along with a round up of conceptual artists who have used balloons in their work. Today’s post continues this exploration with an in-depth conversation between the author, producer Marina Koslock and sound artist Judy Dunaway. Balloons themselves are viral objects. Designed to infect our moods, they are part of social rituals ranging from the deeply personal to collective (political) euphoria. They are cheap, amusing and awe-inducing. As resonant chambers, balloon membranes are sonically responsive to touch while, at the same time, highly tuned to the vibrations of the environment. To start playing a balloon, no prior experience is required. In this sense, the balloon is a democratic instrument whose sonic textures circumvent expensive music equipment. Producer Marina Koslock and I met Judy Dunaway at MassArt in Boston to talk about her balloon-based sculptural sonic performances and the ready-made latex balloon as a sound producing instrument. For the past 25 years, Dunaway has been developing a singular specialization in the balloon as a medium for sound and music. You can keep just broadening out and do more things with a concept; or you can work in a particular parameter as an artist and keep digging deeper and deeper and deeper, and that for me as been more interesting, is to pursue that line”, explains Dunaway. Judy Dunaway started to play balloon music in the late 1980s, first as a preparation for guitar string and soon after as a solo instrument. It was in the midst of the AIDS Crisis and Dunaway was part of the downtown improv scene in NYC. “Many of my friends were dying,” she recalls. “Everybody was saying what caused this? Nobody knew how the disease was being spread,” adds Dunaway. “Then, of course, there was this discovery that it was sexually transmitted and you could prevent transmission with latex condoms. Suddenly, they had this power,” she says, “latex had this power to save people’s lives, and I say that that is when balloons really began to speak to me. They were something beyond a mere mechanism to make sound.” Within the envelope of the balloon Dunaway found space for memory, life, and sensuality. “Seeing my connection to the body of the balloon, that to me served as an unspoken rebellion against the patriarchy, against the power structures that have oppressed women and, ultimately, all humankind by severing the psyche and the body,” says Dunaway. Following the scholar Robin James, the patriarchy is not just a “relation among people” but is also a “relation among sounds” that are coded in a gender system of masculine absolute/feminine other. “The way I approach the balloon is not nailed or fixed or part of this history,” clarifies Dunaway. The balloon as an instrument has allowed Dunaway to develop a musical lexicon outside of a male-dominated classical heritage. Imagine a string, a string on a violin or guitar, and this string is held taut on either end by a knot and a bridge; now imagine that string suddenly melted and spawned out into an orb and it’s all held tight by a column of air. . .this is the palette that I have to access when I play the Tenor Balloon, I have all these harmonics on this curved shape, and I control it partially with my knees. The Tenor Balloon is placed between both knees and Dunaway applies and releases pressure on the balloon producing microtonal changes on its surface. “And I also use water,” she adds, “copious amounts of water, warm water on the balloon and on my hands because that’s the way I get this stick and slip mechanism to work.” The hands gliding on the balloon’s surface act similar to a bow on a string reaching different nodes and moving through harmonic series. “My work doesn’t come out of a void,” states Dunaway. In the article My Beautiful Balloon, Dunaway maps out a detailed history of the balloon in experimental and avant-garde music. Many Fluxus artists used the balloon in events, concerts and instructional scores. The sounds of the balloon embodied Fluxus’ humorous/satirical attitude towards art and the collapse of hierarchies of experience by reframing everyday life objects. Balloons are used by DIY artists that re-invent, hack and create new music instruments (Jean Francois Laporte, Thierry Madiot, Aaron Wendell, Tom Nunn, Javier Bustos). Balloon sounds are explored by many artists with backgrounds ranging from improvised music, rock, electronic or electro-acoustic and sound installation (Ricardo Arias, David Bedford, Mauricio Kagel, Alvin Lucier, Terry Day, Tod Dockstader, Christine Sun Kim, Davide Tidoni, Sharon Gal, Eugene Chadbourne, Matmos, EVOL, Alan Nakagawa, to name a few). To develop a practice around the accessibility of latex is to engage with politics of mass-production and exploitation of resources and labor. Dunaway mentions the connection between the air and breath that fills the balloon and the mass-extraction of latex from the lungs of the Earth. “[Balloons] are literally the blood from a tree in the Amazon,” says Dunaway, “and there’s a whole history of how the indigenous people there were and still are persecuted. Now, they are mostly farmed in Malaysia,” she adds. Between 1890 and 1920, a rubber fever led to a boom of extraction and exploitation of rubber-bearing plants in the Amazonian countries and to the forced displacement, slavery and mass killing of its indigenous people. The same happened in many African countries. As John Tully writes in his book The Devil’s Milk, “it is still true that where there is rubber there is often human suffering.” Ricardo Arias, a Columbian composer working with balloons (balloon kit) since 1987, has acknowledged this suffering through his balloon work. In Musica Global, Arias composed a series of 20 short balloon pieces called Caouchu: The Weeping Tree/El Árbol Que Llora in memory of the native Americans tortured and killed by the North American and European hunger for natural rubber latex. These ontological relations between the balloon’s materiality and the environment inform Dunaway’s work. “I’m writing a piece for a large 30 to 35 person balloon ensemble. This piece is called Wind Ensemble and is all about the air going out of the balloon, and the sound of the mouthpiece being vibrated as the air comes out.” Dunaway shares a video recording of this work and the room is filled with high pitched sounds changing at different speeds. The experience is immersive; a meditation on air and vibration. “It’s rather minimal in the concept because I really want you to notice the small changes and nuances over time.” The performative element of the piece has balloon players squeezing the balloon’s mouthpiece and bending over large balloons to make them vibrate until the balloon’s last breath. “Ideally, I would like 60 balloon players, that would be great!” she exclaims. The embodied relationship that Dunaway has developed with the balloon over the past decades resulted in an artistic practice extremely tuned to the sonic proprieties of every inch of the latex balloon. Thanks to Judy Dunaway for the interview and records; Marina Koslock for co-producing the interview with Judy Dunaway; and Jennifer Stoever for your help and excellent editing. Save the date: Amsterdam, November 14 & 15, 2019. The Institute of Network Cultures is proud to announce the return of MoneyLab to Amsterdam: two days filled with presentations, workshops, performances and discussions by and with artists, academics, activists, geeks, and students about pressing financial issues. What is the status of our experiments with alternative finance in the age of Brexit, Trump, and the rise of right-wing nationalism? Can we move beyond the critique of libertarian start-ups and their male preoccupations? What is the role today of artists and designers in this expanding financial ecology? Are platforms becoming the new banks? What are the counter-designs of digital transactions? How do we relate to the emerging regulatory regimes that want to “civilize” fintech? Can we speak of a gentrification of payments, as Brett Scott indicated? The event consists of a 2-day conference, workshops and an evening program with performances. If you are interested to participate, please contact Geert Lovink <geert [at] xs4all.nl>. Brooklyn neighborhoods are pockmarked with building sites. Required to display details of what is under construction, many sites also present a computer-generated visualisation of the building to come: glass walls under clear blue skies. These visions of gentrification rely on distanced observation. Up close, the blues of the sky and its windowed reflections become noisy, dirty, blotched. Their visions are stained by the life they attempt to suppress. Alan Greig is a writer, photographer and video-maker based in Brooklyn. He explores the use of visual media to disrupt regimes and codes of social control, working between representation and abstraction, motion and stillness, surface and interface. Against the algorithmic operations and programmed visions of surveillance capitalism, he is interested in what control cannot control, i.e. in control’s visual remainders. After the Trojan Horses examines queerness and ‘othering’ in institutionalised spaces. By photographing elaborate sculptural elements in interchangeable bureaucratic places, Damian Owen-Board eschews the banality of these locations and creates an uneasy, chaotic wonder. These interventions play on camp clichés and historical fears of queerness as an invading force corrupting the ‘normal’ world. They interrogate the institution as a heteronormatively-coded space and present queerness as a disruptive force which subverts that hegemony, replacing it with something new and sparkling. Damian Owen-Board is a London-based artist working in photography, video and installation. Damian’s practice explores ideas of cinematic spectacle and the dichotomy between high and low art and, more recently, the role of queerness, geography and architecture in identity formation. Damian studied at the University of Derby and Goldsmiths, University of London, where he now lectures in photography. His work has been included in solo and group exhibitions. A collaboration between software algorithms and a human obfuscator, Accrual Media remixes the seminal book of photographic theory, Camera Lucida by Roland Barthes, asserting the reordering of the way the photographic image itself is created and disseminated in the 21st century, over 35 years since the original’s publication. Each page of the original publication has been scanned and subjected to a partially human-guided application of Adobe’s Space Time Video Completion algorithm, put into action through Photoshop’s various Content Aware processes. These alterations prioritise the visual aspect of written language over the coded content and meaning, leading to repeated passages and words, altered letter forms and entirely new sentences or visual patterns – generated through invisible and ‘magical’ coding. Where Barthes, over 119 pages, wrangles with the ‘soul’ of the human-mediated and generated object/image, Accrual Media prioritises the objective aspects and ‘mechanics’ of digital imaging, without respect for the stature, heritage and intended meaning of the source material. Mike Downing is a UK-based photographic artist and lecturer at the University of Lincoln. His multidisciplinary practice responds directly to emerging themes of online connected societies in visual culture. His work covers diverse themes, such as the animal loving self-identifying supporters of extreme right-wing groups, rural phone networks and reworkings of the classical ‘vanitas’ in plastic. 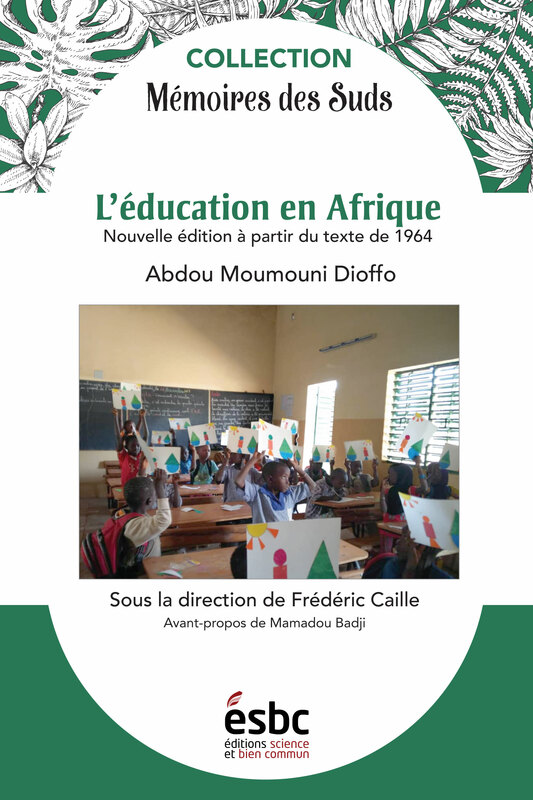 Cette réédition en libre accès de ce livre fondamental publié pour la première fois en 1964 (François Maspéro éditeur) est un projet dirigé par Frédéric Caille (Université de Chambéry), avec l’autorisation de Mme Aïssata Moumouni. Pour accéder au livre en version html, cliquez ici. Pour télécharger le PDF (à partir du 30 avril 2019), cliquez ici. Pour commander le livre en version imprimée, cliquez sur le bouton Paypal ci-dessous. Acheter un livre, c’est nous soutenir et permettre à ceux et celles qui ne peuvent l’acheter de le lire en libre accès. 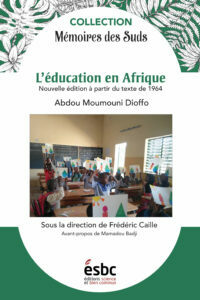 Ce livre écrit en 1964 à propos des enjeux postcoloniaux de l’éducation en Afrique francophone subsaharienne reste d’une pertinence incontestable, tout en offrant des données historiques précieuses. Cette réédition, sous la direction de Frédéric Caille, servira aux étudiants et étudiantes, chercheuses et chercheurs et à toutes les personnes qui continuent à réfléchir à la meilleure manière de garantir un accès universel à l’éducation en Afrique. Utilisez le bouton Paypal ci-dessous pour commander le livre imprimé au Canada ou en Europe ou l’obtenir en format ePub (prêtable). Le livre sera bientôt disponible dans nos librairies dépositaires : la Librairie du Quartier à Québec, Zone libre à Montréal, à venir pour Paris, Genève et l’Afrique. À noter que 9 $ de frais de port sont automatiquement ajoutés au prix de base.